Great fiction comes from all over: horror, dark fantasy, mystery, and so on. William F. Nolan writes in various genres. You may know him from his work with Dan Curtis, such as the classic horror film, “Burnt Offerings.” Or perhaps you know him from co-writing, with George Clayton Johnson, the classic dystopian novel, “Logan’s Run.” Mr. Nolan has gained great recognition and won numerous awards and honors. Just last year he was named the Grand Master at the World Horror Convention in Atlanta. In this interview, we spend a good time chatting about horror as well as fiction in general. 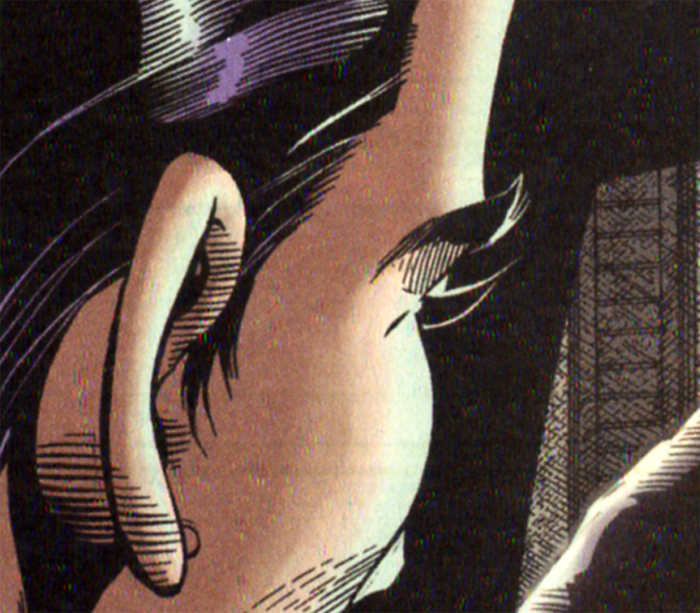 And we definitely visit the subject of the Southern California Sorcerers, otherwise known simply as The Group. 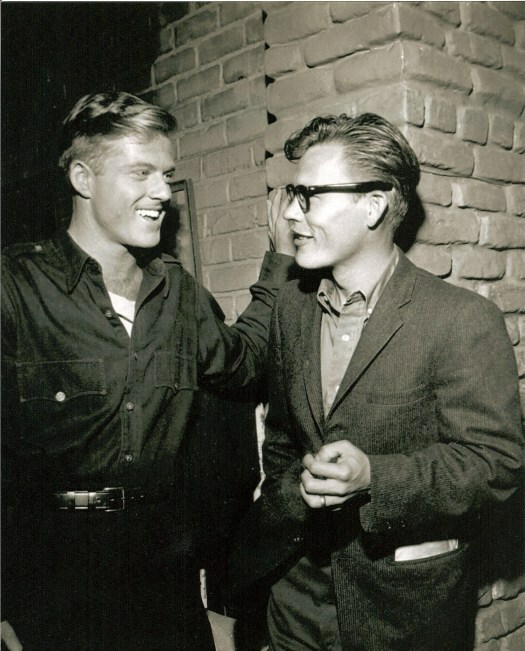 During our conversation, Bill shared a very special moment regarding his friend and fellow writer, George Clayton Johnson, who passed away this last Christmas. He offers up for us a picture of a fresh-faced, and beaming, young George bursting upon the scene, circa 1957. He has shown up at a meeting of The Group and asks if he may join in with the illustrious and ambitious writers. Someone asks George what he has to show for himself. And, George, just having received his box of author copies, proudly shows the men what he’s been up to. 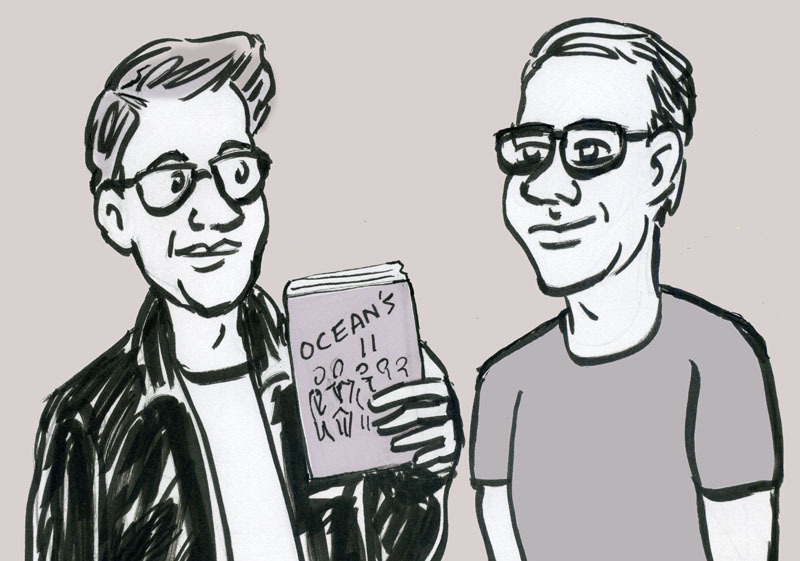 “Hey guys,” George says, “I co-wrote this really cool thing called, ‘Ocean’s Eleven! '” And the rest is history! This interview was conducted Monday, February 22nd. William F. Nolan is going strong, just shy of his 88th birthday on March 6th. If you love a good story, or if you are an aspiring writer yourself, or if you’d like to know something about the Sixties zeitgeist, then this interview is for you. In the span of about twenty minutes we cover a lifetime of observations and insight. Henry Chamberlain: Thank you for getting together with me, Bill. I wanted to cover the writer’s life with you in this interview. First off, a good horror story has been compared to placing a frog in gradually boiling water. What can you tell us about the boiled frog method of storytelling? William F. Nolan: Allow me to veer off a bit from the boiled frog to tell you how I approach telling a story. Really, how I tell a story is like the other night when I was in bed, half asleep and half awake, a state where I get all of my ideas. I was thinking of these deadly flowers. They had the power to stop the human heart. They were alive and, if you didn’t treat them right, they could turn against and stop your heart. There’s this couple who decide to rent this place on the beach. It looks like a great place. The owner lets them know that they have to take care of these special flowers but the couple ignore him, they don’t do it. And they end up being killed by the flowers. Their dead bodies are found on the beach. 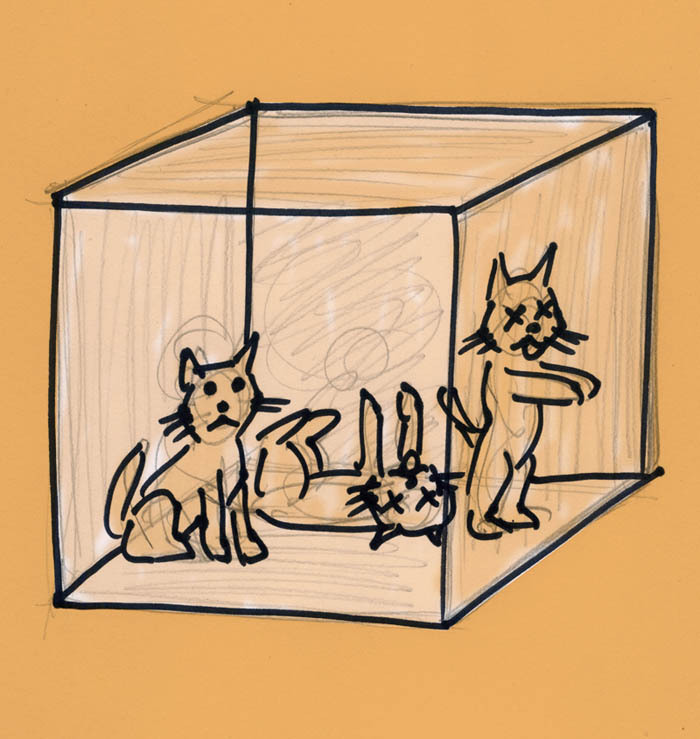 That’s how I form an idea for a story. I get an opening in my head for the concept and then I get the ending. Finally, I fill in the middle. That’s how I write a horror story, or any other kind of story. HC: There’s a story of yours, “Stabbed by Rob,” in the recently published collection of dark fantasy from Dark Discoveries, edited by James R Beach and Jason V Brock. That story is a perfect example of that boiled frog method. There are a number of touches of humor, including your mentioning a glow-in-the-dark statue of Jesus. And the story keeps turning up the heat to the very last sentence. WFN: Well, I believe you really can’t get away without some humor in a horror story. Horror is too stark, raw, and unflinching. You need to be able to live in it. You’ve got to lighten it with some humor. All my horror stories have elements of humor. You need to let the reader breathe. You can’t go from the first page to the last and do straight horror. That’s the problem with H. P. Lovecraft for me. Lovecraft has no sense of humor. He was a brilliant writer. He was a brilliant innovator. But no sense of humor. By the time you finish “The Shadow over Innsmouth,” you’re exhausted. I want my readers to relax a little, to breathe, and have a good chuckle while they’re being frightened. That’s my method of writing horror. HC: I’m glad that you mention Lovecraft because I’ve had difficulty with him too. 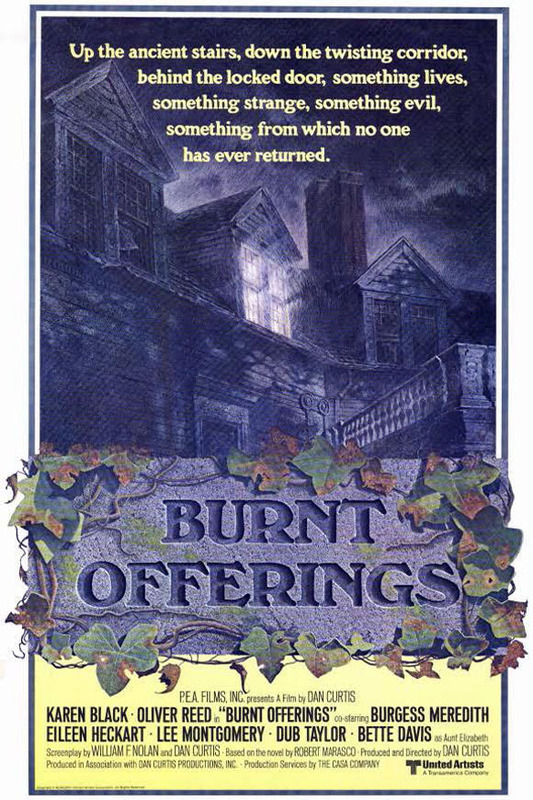 Your adaptation with Dan Curtis of Robert Marasco’s 1973 novel, “Burnt Offerings,” has just the right touches of humor at the start, and they give way to a more sinister mood. There’s a balance. WFN: Yes, that was adapted from the Marasco novel which had no humor whatsoever. I told Dan Curtis, who directed, and produced the film with me, that we were going to need to lighten up the material because it was too stark. I’m glad that you appreciate the humorous elements in the film. As I say, I just don’t think you can do horror without lightening it up a little bit. WFN: Ray Russell was one of my closest friends for years. We would talk about how to write in terms of horror. And we both agreed on the same thing that you’ve got to put some humor into it in order to lighten the whole thing. I love Ray’s work. He passed on some years back. He would be happy to hear that you enjoy his work. 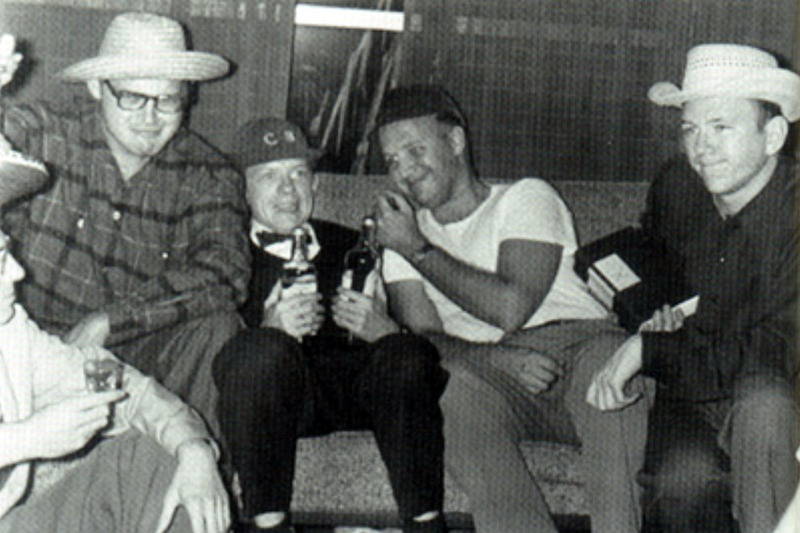 Just Part of The Group: Charles Fritch, Chad Oliver, Charles Beaumont, Richard Matheson, and William F. Nolan, circa 1954. HC: There were all of these amazing writers that you got to be close with in social settings and in work sessions. All of you together were the Southern California Writer’s Group. WFN: There were eleven of us. We didn’t think of ourselves as anything special. We were all trying to make a living, pay the rent, pay the mortgage, stay afloat. 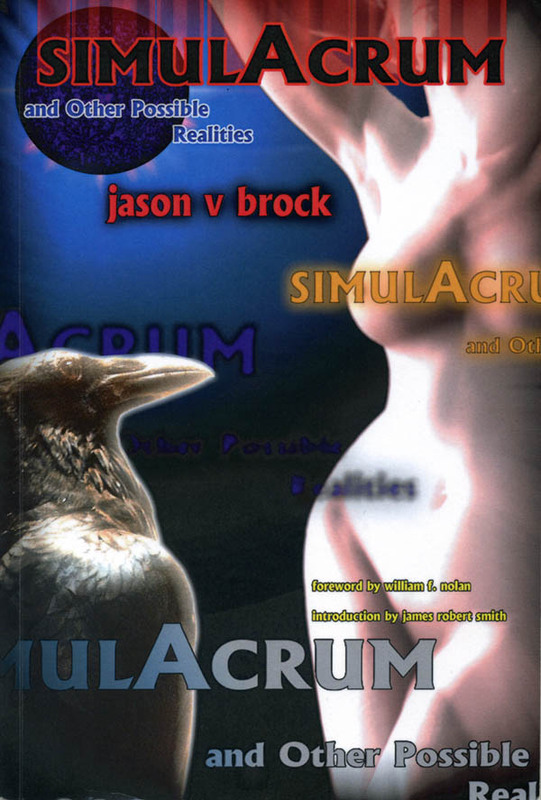 We wrote science fiction and fantasy in a modern vein. We took it away from the Lovecraftian type of fiction and wrote a modern type. 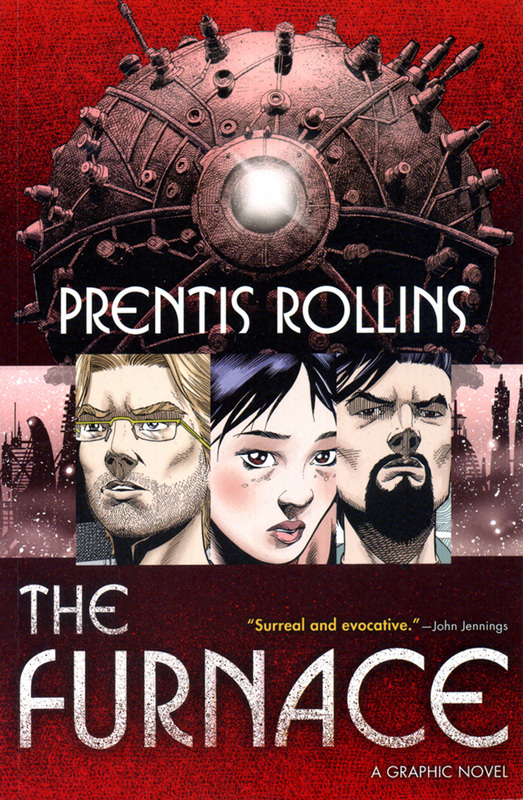 It was sort of pioneered by Richard Matheson and Ray Bradbury who were part of our group. We all worked from the same principle: you can do modern horror but it has got to be something that people can believe in. It has to be realistic. It should happen today, in somebody’s kitchen. It could happen in a kitchen. You don’t have to go to a haunted castle, back in Transylvania, to have horror. Horror can happen on your doorstep. Horror can be a terrorist with a submachine gun that sprays lead over you while you’re eating in a restaurant. That’s horror. Horror takes many forms. We all tried to work within that scope. Yeah, eleven of us. 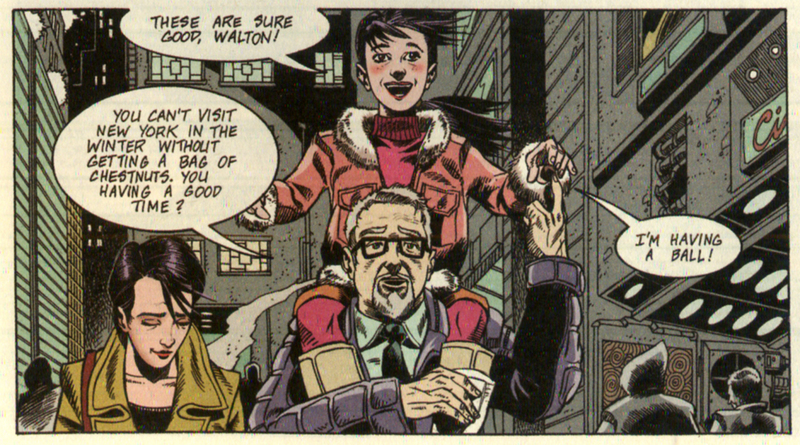 Matheson, Bradbury, myself…Charles Beaumont was sort of the hub of the thing. 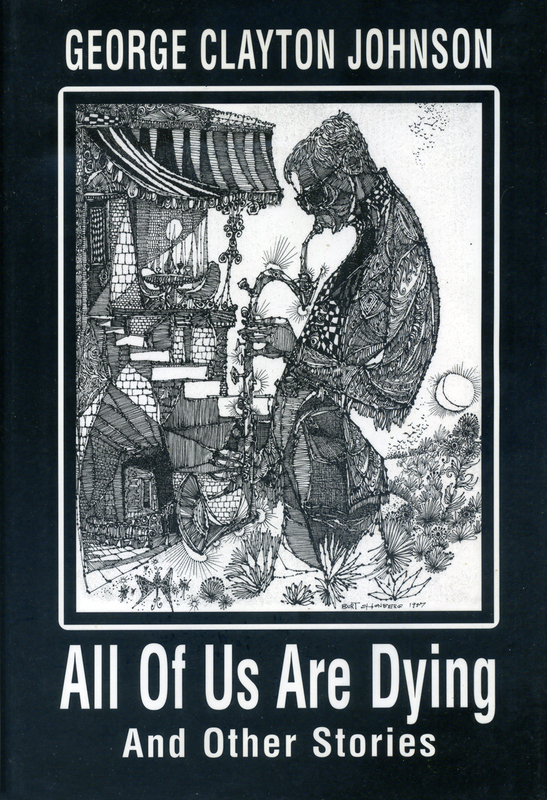 We had Jerry Sohl. We had Robert Bloch, known for “Psycho.” We’d all gather together at each other’s houses, at all-night coffeeshops and talk shop, editors, and markets. We were quite a group. All these years later, people look back on us as pioneers in the field. And that’s nice but, at the time, we were just trying to make a buck, just trying to make a living. HC: Well, sure, you guys were so close to it all. You would need to stand back to see it clearly. What you guys did was take gothic literature and give it a modern cool. That’s essentially it. WFN: Yeah. 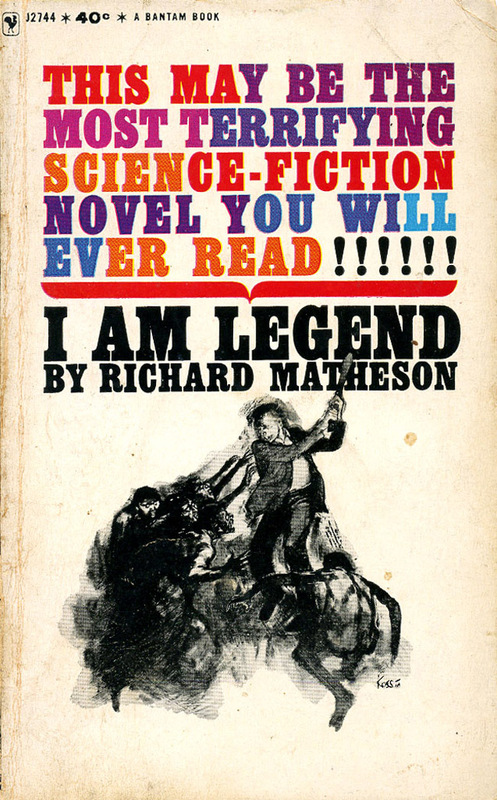 I still think that you can credit Richard Matheson for a lot of that. Stephen King said that he was influenced more by Richard Matheson, than any other author, because he took horror out of the castle and brought it into the kitchen. And I agree with him. We all tried to do that. We all felt that was the way to go. We weren’t interested in something ancient. We wanted something real, something of today. HC: You list eleven members of The Group. Was there any time that all eleven of you met under one roof? WFN: Three or four of us were into auto racing. Richard Matheson, Jerry Sohl, and Robert Bloch didn’t care at all about that. But Charles Beaumont, John Tomerlin, and myself were heavily into Grand Prix sports car racing both here and in Europe. We actually flew to Monte Carlo one year for the Grand Prix. And we went to Sebring Raceway in Florida for the races there. The Beaumont kitchen in North Hollywood, his upstairs kitchen, is where most of us would meet. George Clayton Johnson was part of that group too. We would meet there. But there was never a meeting of all eleven of us at one time. It was three or four of us at at time at different places. We’d go to movies together. We’d meet in coffeeshops. 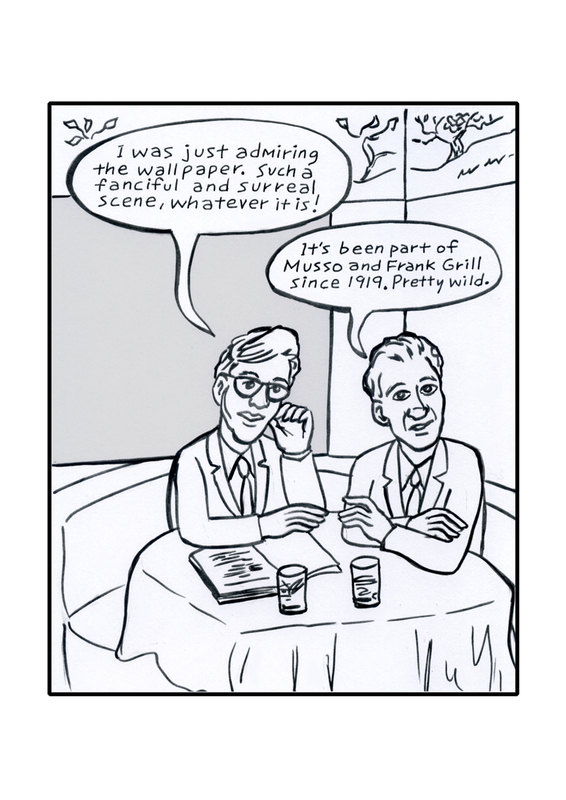 HC: I imagine that you guys enjoyed Musso and Frank Grill. 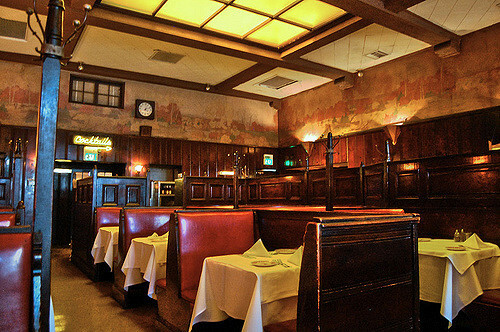 WFN: We loved Musso and Frank Grill. It has all that history: Hemingway, Fitzgerald, and William Faulkner. The murals never changed. The seats are the same. When you’re sitting there, it’s like you’ve gone back in a time machine. We loved it. I still love it. I love to go whenever I’m in L.A.
HC: You touched upon George. I have to say that I can imagine that he loved the fact that he got to pass away on Christmas Day. Such a magical thing. Such an act of will. WFN: That was no accident. He was ill. He was in hospice care for about a week before that happened. WFN: The doctors were saying that he could go at any minute but George, subconsciously, since he couldn’t verbalize it at that stage, was saying that the doctors couldn’t tell him when he was going to die. He was always an independent guy. He was saying: “I want to die on Christmas Day since that was the birthday of Rod Serling, who made me famous for my writing for The Twilight Zone.” He was able to die three days past when he was expected to die. He was able to fool all the doctors. That was no accident. HC: Yes, that’s what I meant. 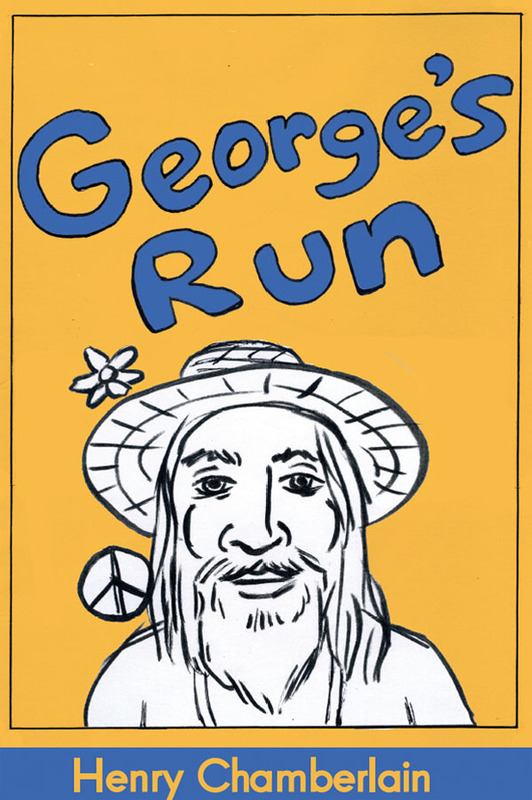 I was honored to interview George a number of times and got to meet him in person. Would you share with us a little more of the flavor of the era and a picture of George at one of these bull sessions at The Group that may come to mind? 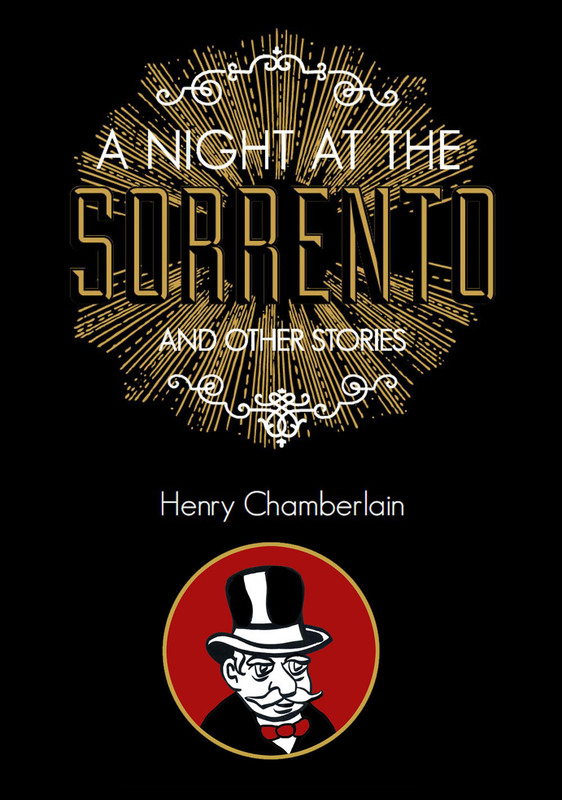 WFN: Four or five of us were sitting in the living room of the upstairs apartment of Charles Beaumont one night. There was a knock at the door. This is around 1957. The Group was around from the ’50s to ’60s. So, there’s a knock at the door. 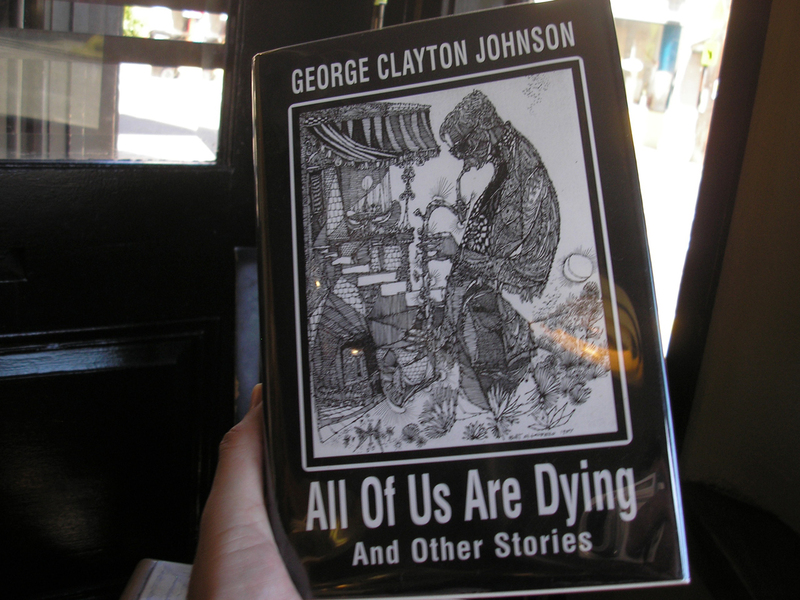 We open the door and there’s George Clayton Johnson with a package under his arm. He said, “I’m George Clayton Johnson. I want to join you guys. I want to be with you. I’ve heard about you and I want to join you.” Someone asked, “Are you a writer?” He said, “Yes, I am,” and he held up the package, “It’s called, ‘Ocean’s Eleven’ and I just sold it to Frank Sinatra!” That’s what got him started with The Group. HC: That’s beautiful. I wanted to ask you about the literary tradition that The Group worked from. I’m sure that Nathaniel Hawthorne, Mary Shelly, all the gothic writers, were subjects of conversations for all of you. WFN: You can’t write out of a vacuum. We’re all influenced by other people. 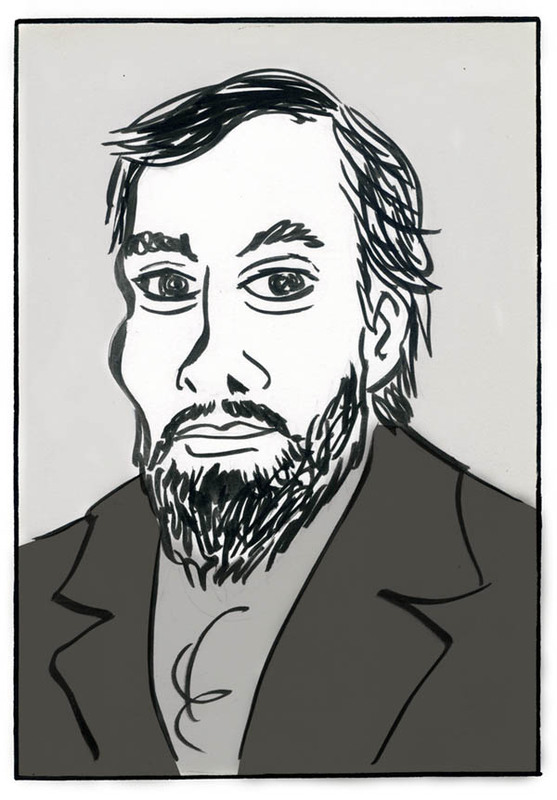 Ray Bradbury was influenced by Herman Melville, William Shakespeare, and George Bernard Shaw. 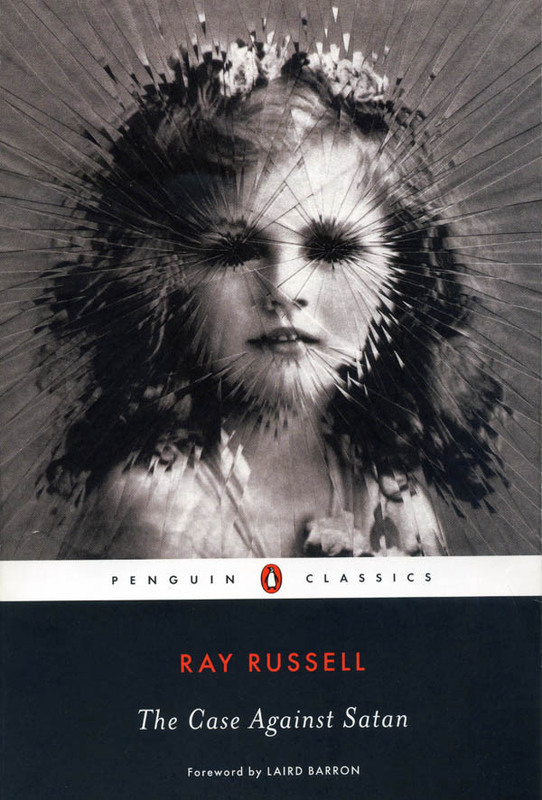 We were influenced more by such horror writers as Arthur Machen and Algernon Blackwood. I started out reading H.G. 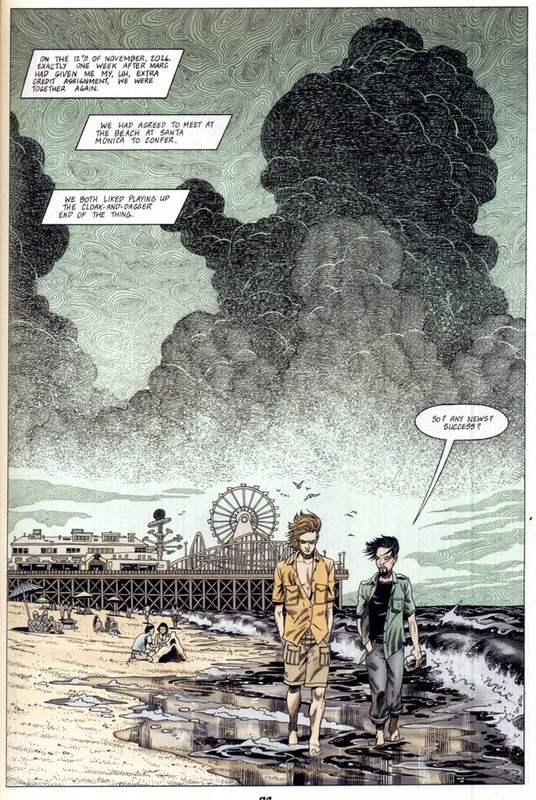 Wells’s “The Time Machine” and “War of the Worlds” when I was a boy growing up in Kansas City, Missouri. And then I discovered Bradbury and Weird Tales. 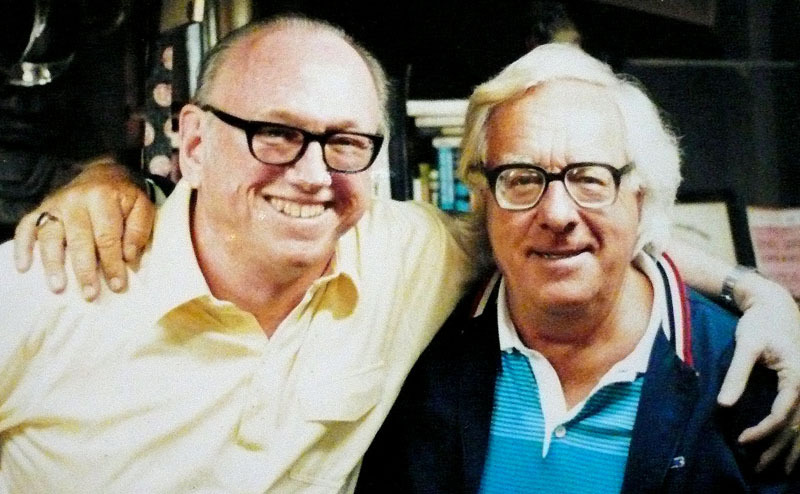 Ray Bradbury and I became close friends and that lasted 50 years. We’re all standing on the shoulders of other people. We all read Hawthorne and Robert Louis Stevenson. 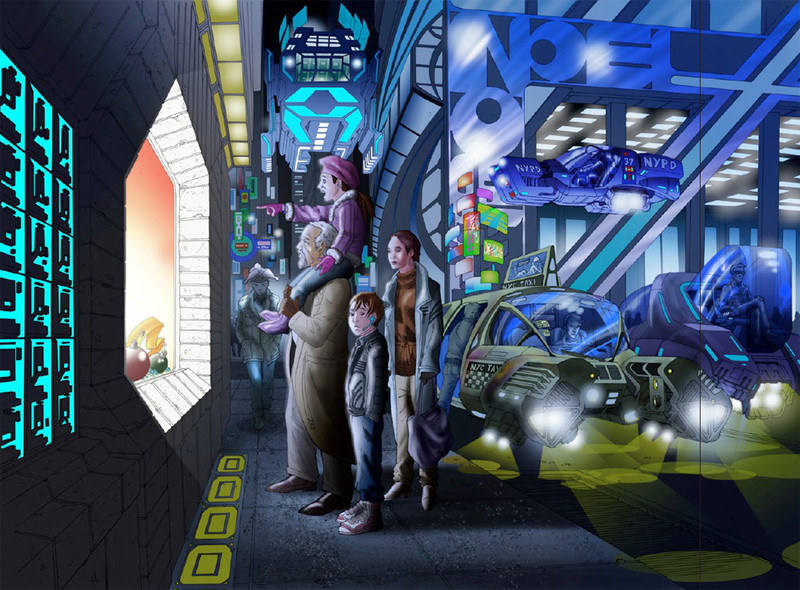 We were influenced by them but we wanted to take our fiction into a modern setting and move it forward and I believe we succeeded. HC: I wanted to close out by asking if you could give us a little more of a flavor of Los Angeles in the ’50s and ’60s. I can just imagine: you had the ghost of Raymond Chandler; old Hollywood giving way to new Hollywood; Forey Ackerman and the rise of geek culture. L.A. in the Sixties, it doesn’t get much better than that. 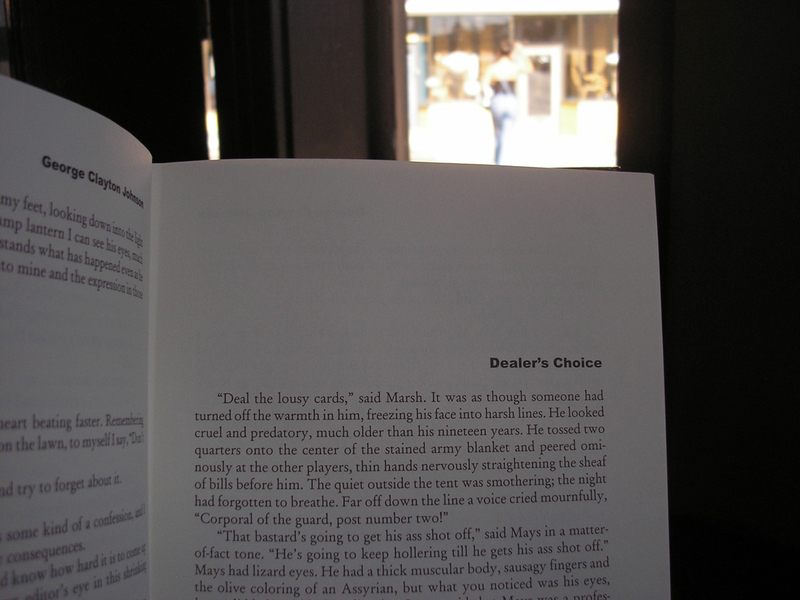 WFN: I read Raymond Chandler, Dashiell Hammett, the hard-boiled school, James M. Cain. I’ve read books on Chandler and Hammett. I’m a big hard-boiled fan. Los Angeles was a hard-boiled city in those days. Dashiell Hammett glorified San Francisco. But Los Angeles was also part of that era where corruption ruled in high places. It was a violent and colorful era captured beautifully by Raymond Chandler. 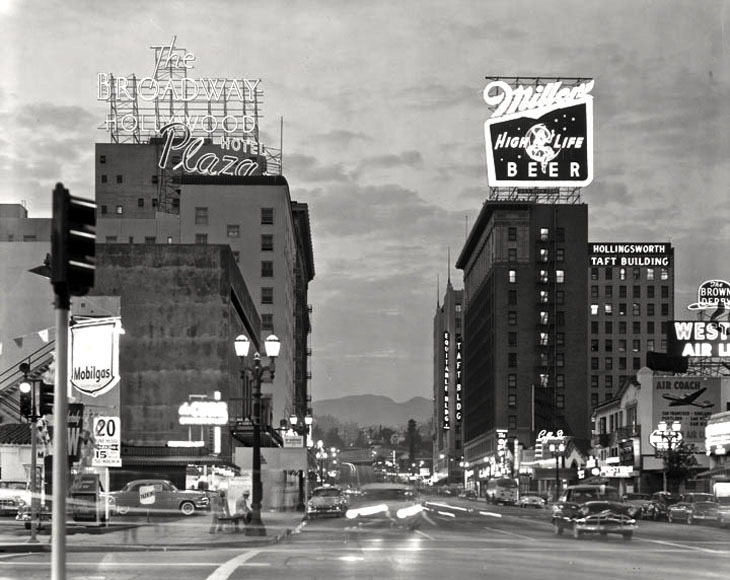 If you read the work of Raymond Chandler, you’re learning a lot about Los Angeles as he experienced it. I can tell you that there was a lot of smog. I used to live in Burbank, right against the mountains. The smog was terrible. I did move around different parts of Los Angeles. It changed quite a lot during the many years I was there. It’s not the same city that it used to be. HC: I love Los Angeles and love looking for signs of yesteryear. They’re around if you know where to look for them. HC: I wish you a great year ahead, Bill. Any projects we can look forward to soon? WFN: I had a collection of my poetry come out last year. This year we’ll have a new collection of my essays. I’m working on a new collection of short stories. I just wrote three new stories this month. So, even though I’ll be turning 88, I feel like I’m still 28. HC: I can feel the energy. Thanks again, Bill. WFN: I really enjoyed this. Thank you. 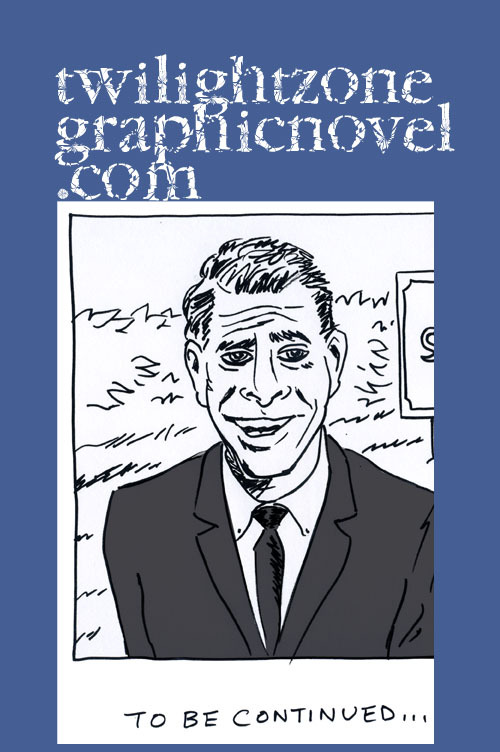 Keep up with William F. Nolan at his website right here. 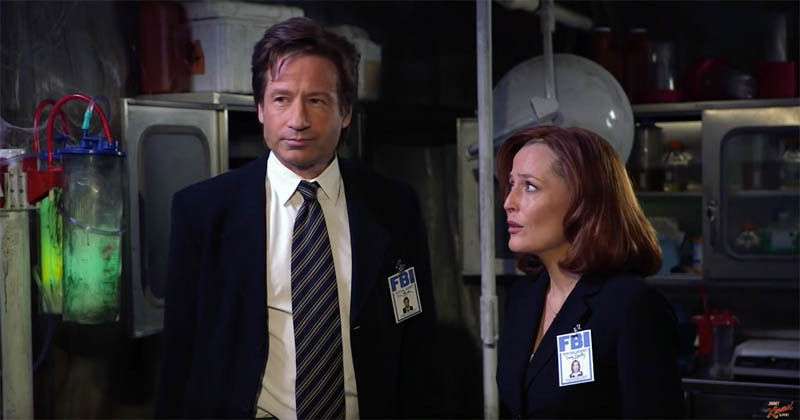 THE X-FILES 2016: Scully and Mulder are back! THE X-FILES are back! I really didn’t know what to expect. The spoof on “Jimmy Kimmel Live!” on ABC was actually a good place to start. If you saw it, you know that Gillian Anderson and David Duchovny were good sports to let themselves be done up as lame updates of their characters. They looked old and tired and the ongoing joke was how out of touch they were to such things as smartphones and the internet. While the show began in 1993, when AOL ruled the young internet, it did go on for nine seasons, well into 2002! Anyway, stereotypes are good for an easy laugh. In fact, Kimmel got it wrong on the skit in a more significant way. These two characters were hardly as naive as depicted. Yes, they had done more than consummated their relationship. As any true fan knows, the two had a child, one they chose to give up for adoption due to all the complications of their field work into aliens from outer space. 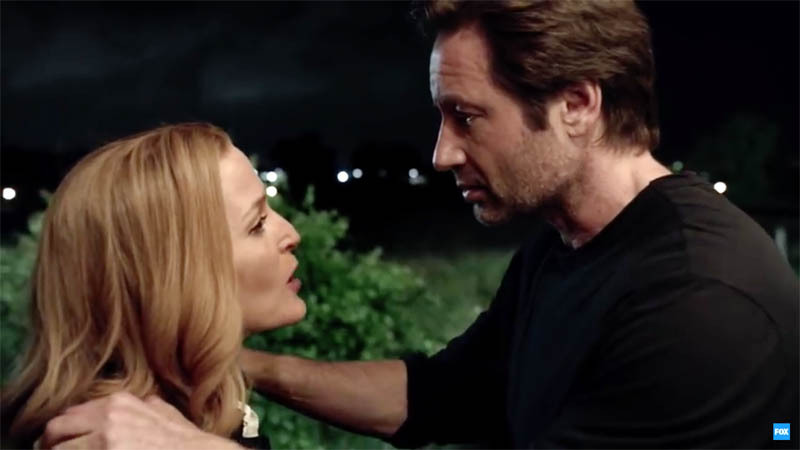 THE X-FILES in 2016 appears to be everything that a fan or casual observer would want. The opening scenes quickly get you up to speed on Mulder’s personal obsession to find out the truth of aliens from outer space. As an ironic twist, given that this is a FOX show, the catalyst for this story is a right-wing talk show host. Tad O’Malley (played by Joel McHale) is the host of “Truth Squad,” that believes in false flag conspiracies. We steadily discover that Tad O’Malley may be onto something. With this reboot, you get the two stars of the show looking and acting far more on point than the Kimmel satire. However, who knows if perhaps the satire isn’t totally off the mark in some respects. Is the reboot more a curiosity than a legitimate heir to the original? Here’s the deal, the original show created by Chris Carter was ahead of its time taking its cues from only a few predecessors like, “The Twilight Zone.” And it got pretty complex. There was the whole deal with Mulder’s sister who was abducted by aliens and part of quite a web of intrigue. Now, this reboot dabbles in a number of adjustments to a post-9/11 world, which is all good. 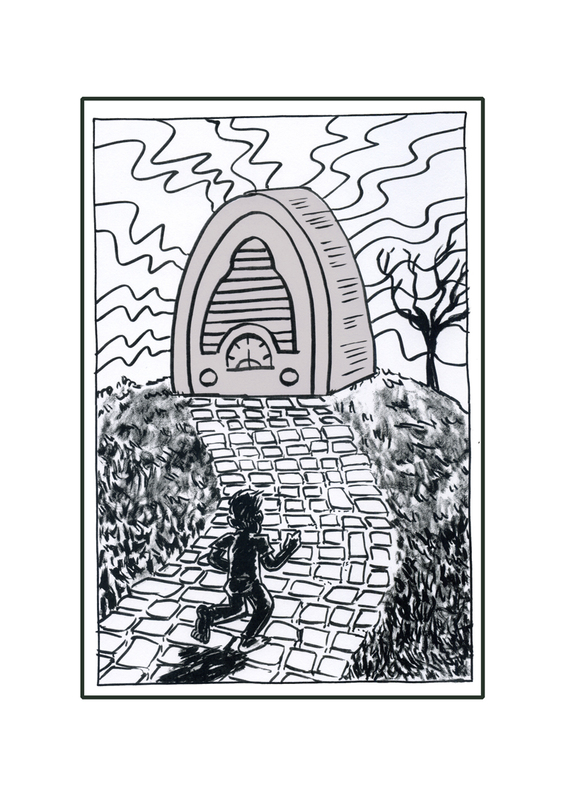 What bodes well is the title of the first episode, “My Struggle,” a nod to cult writer Karl Ove Knausgaard who covers such themes as the history of angels on Earth. This new version of the classic show is back for a special six-episode run. While there are no plans to continue, perhaps the success of the new X-Files will lead to even more. For more details, visit FOX right here.